Evaluating Subscription Solutions? Compare them with FastSpring. 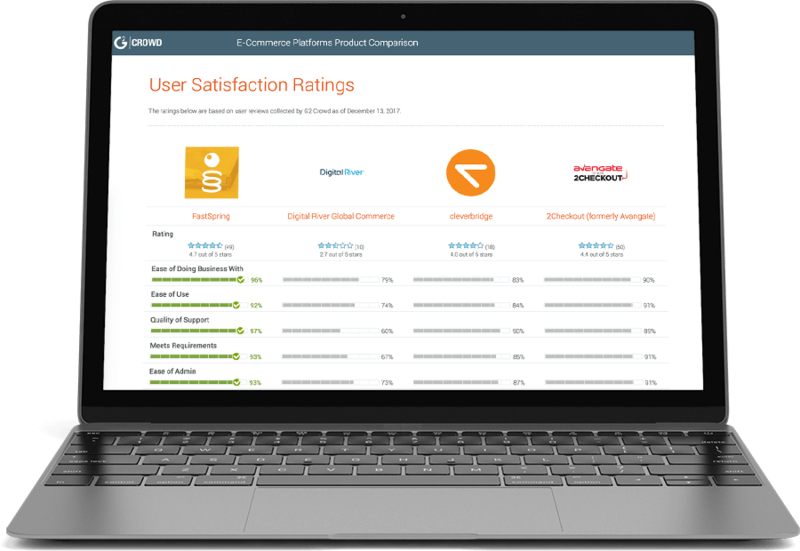 G2 Crowd compiled user reviews and surveys to bring you a side-by-side comparison of the top 4 subscription management platforms. G2 Crowd prides themselves on their unbiased ratings, and their vetting process ensures that the ratings come directly from real users as well as data from public sources. The 4 platforms compared in this year's report are FastSpring, Zuora, Recurly, Fusebill. This is a simple side by side comparison that will help you visualize the top options for a subscription management platform. Your subscription management system should empower your customers. With this resource, your organization can make an informed decision about selecting a subscription management system such as FastSpring. Unlock "Evaluating Subscription Solutions? Compare them with FastSpring."